The 10 part book outsource blueprint video tutorial series explains how to create high-quality profitable books while lowering creation costs. This specific training course was designed to help you watch over my shoulder, step-by-step, click by click, to ensure that you are able to successfully and effectively create a profitable book. It’s a fact. Amazon noted that their Kindle electronic books sold many times more than their hardcover books. So, while formats do change, books are still highly profitable. Now traditional books alone are a dying breed in certain markets, but still sell in others. Therefore, you need to know your market. In fact, recently one of the biggest traditional brick and mortar booksellers in the market has been closing many of their local stores. And if you observe closely, you’ll notice that while many of these stores have people, they are doing things other to buying books. Now while many people are buying books online, this feeds the trend of people producing books online. Problem #1 – Not everyone can create a book. If you don’t have the artistic or creative ability to write fictional books, then it doesn’t matter anymore. Now you can own your very own fictional book created by somebody else with your very own name on it. Did you know that incorrect grammar and spelling is one of the main complaints from readers? The problem arises because many people create books, but then can’t find a good proofreader. I have encountered many proofreaders or editors, only to find that I have many more mistakes still inside of the book. So while I have lost a lot of money and time, I have figured out a way to pinpoint good proofreaders. You’ll learn from me certain characteristics and trait’s that these people have. This specific video will give you a quick overview of the video series as a whole. 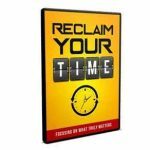 It will cover how to get in the right mindset so you’ll be able to create your book fast and quickly. It will also show you how it all works and what tools you will need. While you will be given some ideas on how to create a plot or structure depending which route you choose (fiction or non-fiction), we will assume that you have a good idea of what your story will be about. In this specific video I am going to show you how to layout your story from the plot, the climax, and much more. This way you set yourself up for success and are able to create a book that is easy to read. There are many different types of books, so therefore there are going to be many different types of writers. We have both non-fiction books and fictional books. So how are you supposed to know how to find a good writer? In this specific video I am going to show you how to find the right writer that will do a good job in creating a great flowing book that is perfect for your specific audience. Before we find a book proofreader, you want to revise the book yourself to ensure that you like what the writer wrote. Now, there are specific things that you need to look out for to ensure that the book flows before you send it to a proofreader or ask the book writer to rewrite certain parts of the book. In this specific video I am going to show you exactly what you need to do step by step. After you have revised the book yourself or have had a book writer revise or rewrite certain parts of the book, it’s time to find a good proofreader. Now, this is where most people make the biggest mistakes. There are a lot of wannabe proofreaders out there and I am going to show you the difference between a real proofreader who knows how to make your book really flow well versus someone who is just half-heartedly doing it and not really doing a good job. You definitely want to get this part right because one of the biggest complaints that book readers have are spelling and grammatical errors. I am going to show you my very own bartering secrets that have enabled me to create high-quality books for a low cost. Obviously when bartering, you need to make sure that it is a win-win situation. Therefore, I’ll show you exactly what I did and how you can do it as well. Once you are completed with the book writing and proofreading process, it’s time to design your book cover. In the specific video I will show you different resources and freelancer sites where you will be able to create a professional looking book design. Unfortunately, people do judge a book by it’s cover, so you’ll want to get this part right. 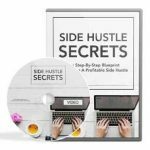 Fortunately for you, you will not have to spend a lot of money, and being that I have experience in this I will show you how to create a very professional cover that normally cost anywhere from $100-$200 for less than $25-$40. You’ll save a lot of money and receive the same great results. Once you have created your book and design, you’ll need to know how to distribute your book. There are many different avenues that you can take to do this, depending on the format. You can sell them on Amazon Kindle and CreateSpace, in electronic, paperback, or even hardcover versions. However, in order to do certain types of formats you have to go through certain printing companies. I’ve lost a lot of time and tested Amazon Kindle, CreateSpace paperbacks, and even Lightning Source hardcover books. You’ll see real case studies as I compare these three possible avenues. Does Lightning Source really live up to the high standard you’ll want? Or have hardcover books become obsolete? You will learn all this and more in this specific video. After you have seen some real case studies in the previous video and learned which companies can distribute and sell your book, it’s time to format your book for these specific companies. 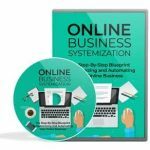 In this specific video I am going to show you how to properly get someone else to format your books for you so that you can quickly and easily get up and running and begin selling your books. There are many different tools out there, but the reality of it all is that if you try to learn how to format your books yourself, it can take several days or even weeks. And instead of formatting, you could be marketing during those weeks. While this video course was developed to help you outsource book creation, I want to point you in the right direction and show you how to get a book website created for your book and where you can access these resources for a low cost. By getting a book website up for your book, this will enable your fans to keep track of everything you do, as well as enable prospects who might be interested in your book to find out more. Not having a website doesn’t necessarily decrease your sales, but it definitely gives you another avenue to market and sell your books. Grab this book outsource blueprint video course and learn how to create high-quality profitable books while lowering your overhead costs and without writing a single word. Not everyone can create a book, but now you can by watching this video series. This specific book outsource blueprint training course was designed to help you watch over my shoulder, step-by-step, click by click, to ensure that you are able to successfully and effectively create a profitable book.